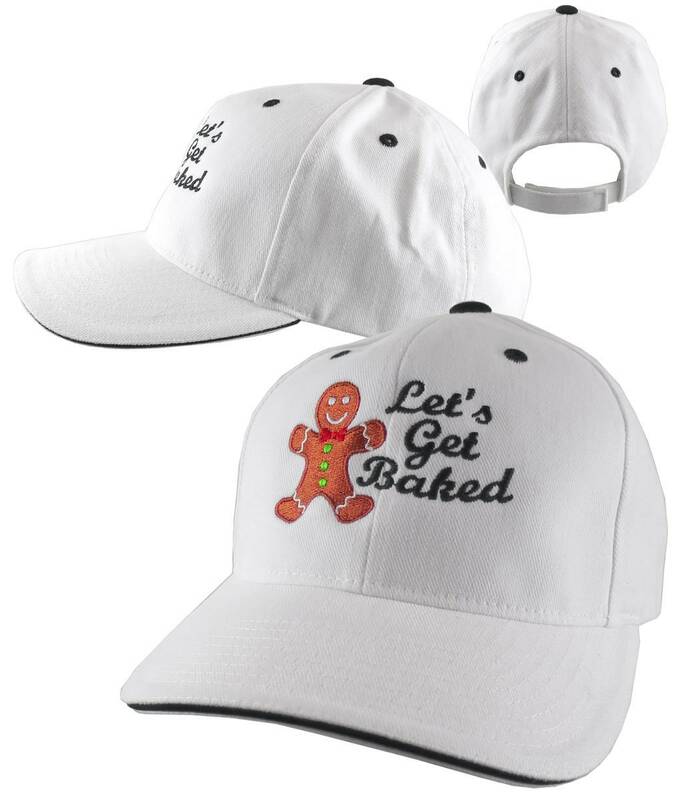 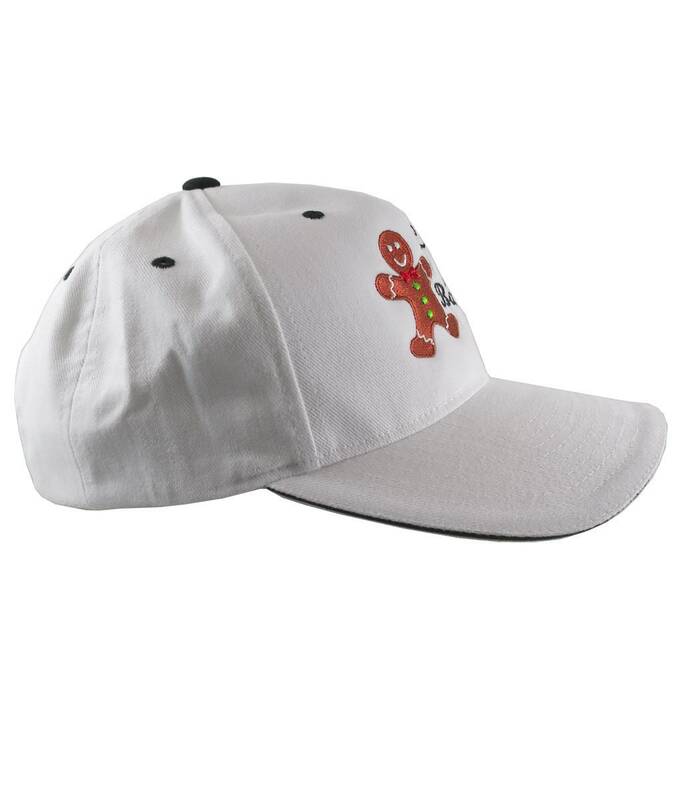 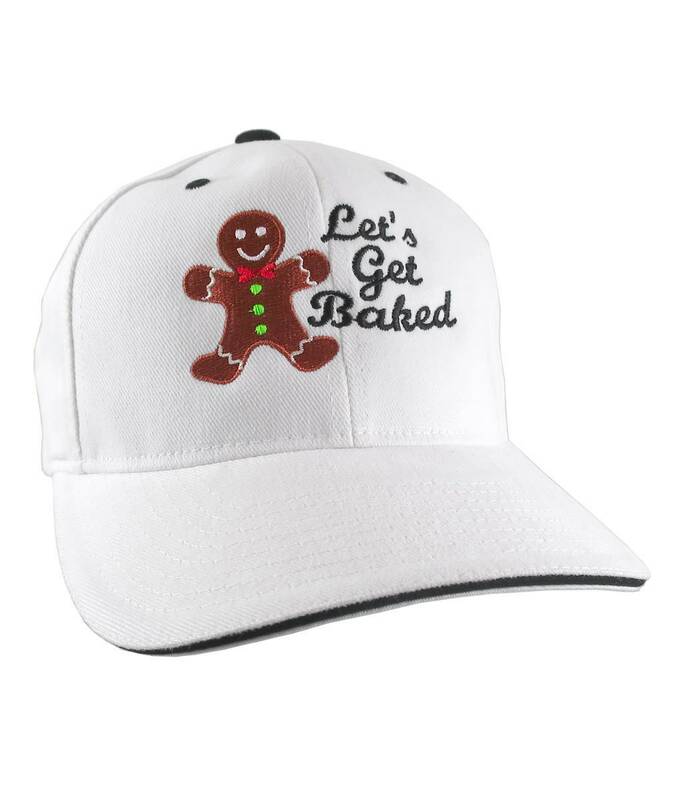 A "Let's Get Baked" gingerbread man cookie humorous embroidery on a white adjustable soft structured mid profile Yupoong classic baseball cap. 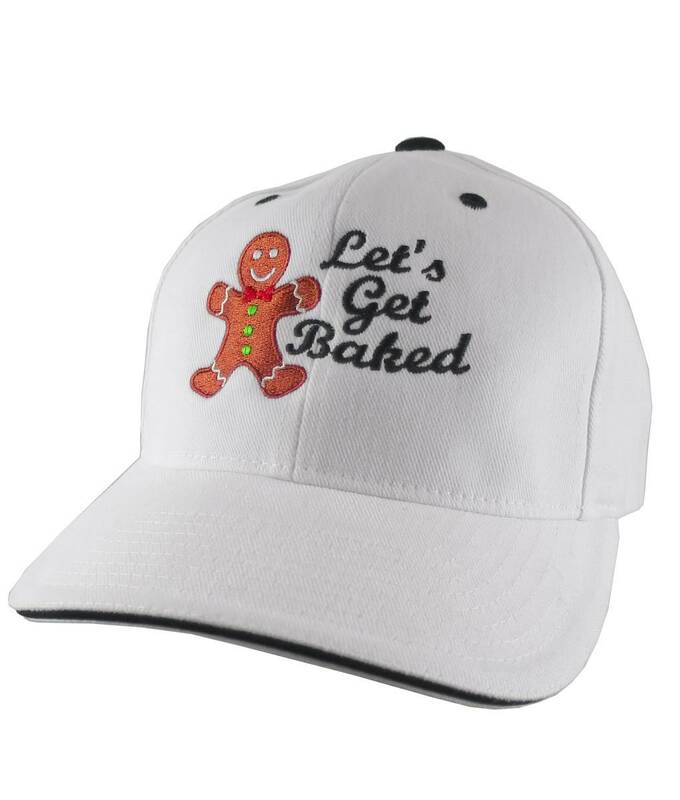 A great gift idea for the baking enthusiast. 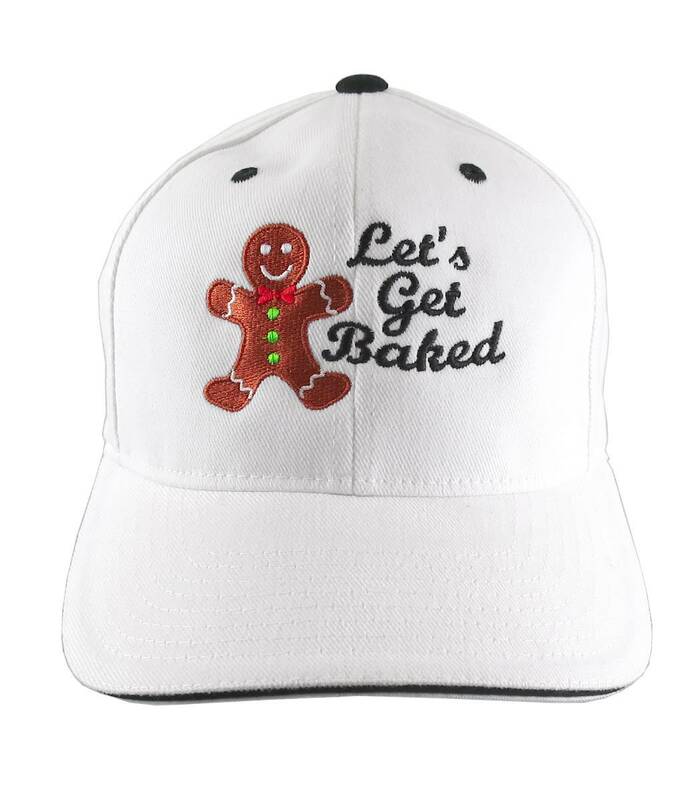 This hat is ready for shipping right now. 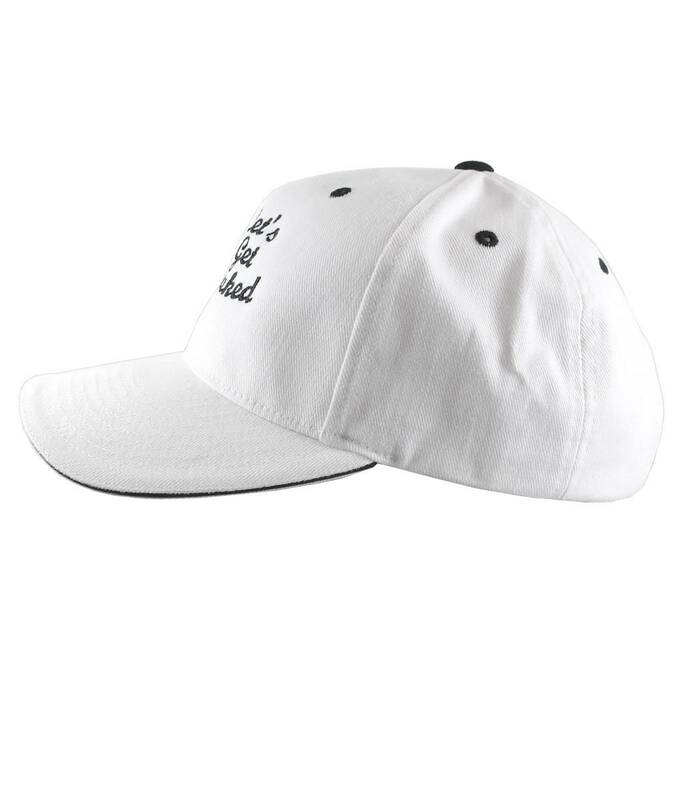 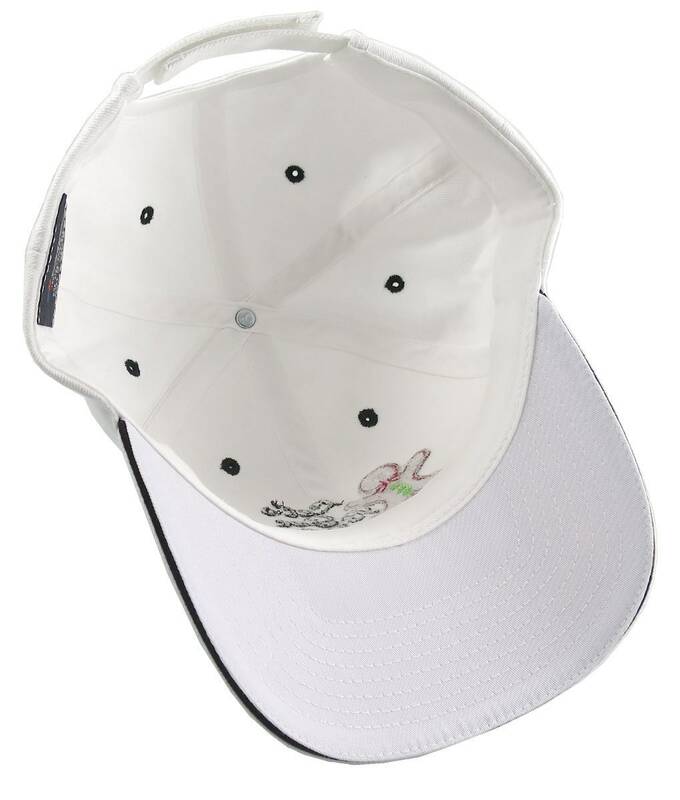 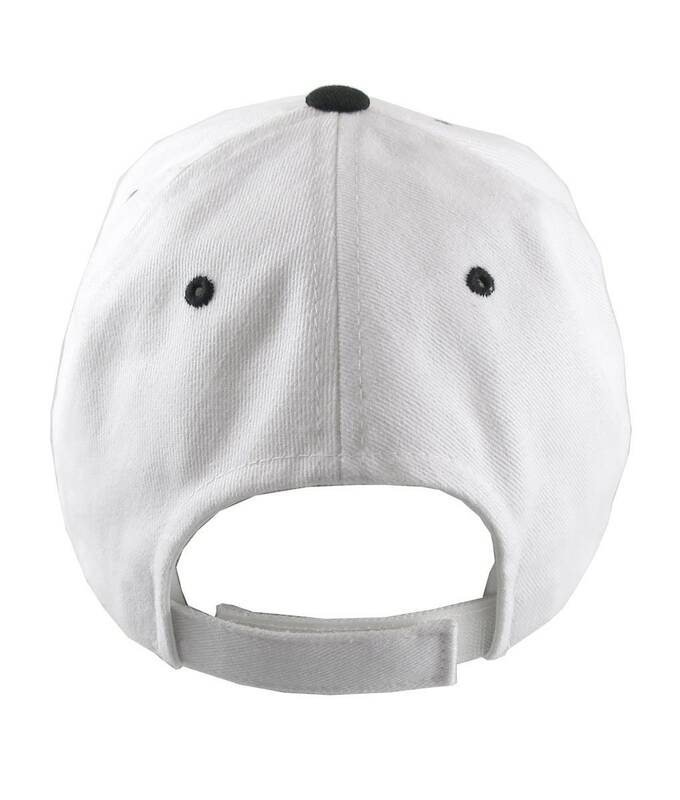 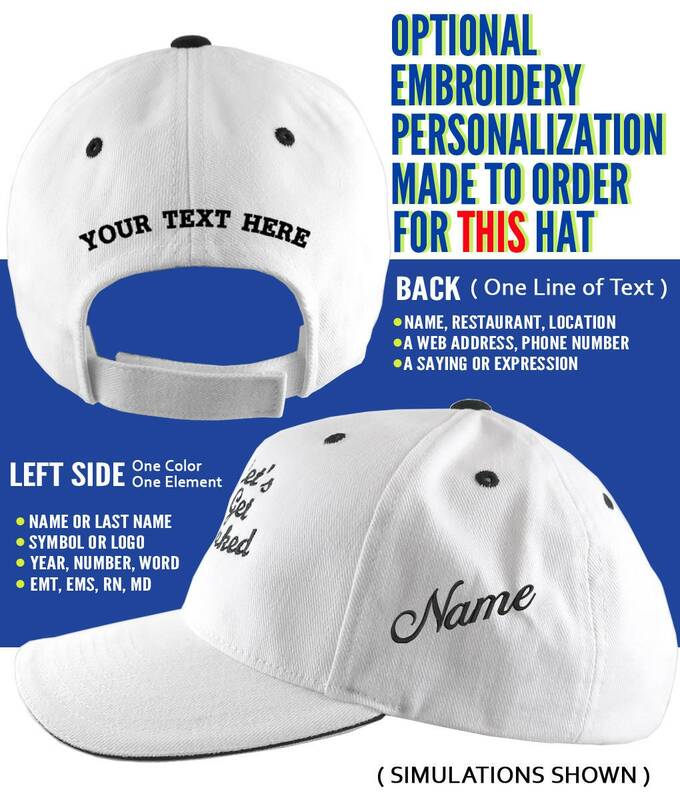 You can optionally personalize this hat on the left side and/or the back for an additional fee.